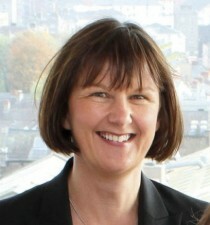 Heather Ann McSharry is a former Managing Director of Reckitt Benckiser and Boots Healthcare in Ireland. She is currently a non-executive director of CRH and chairman of the Bank of Ireland Pension Fund trustee board. Heather Ann is also on the board of IDA Ireland, where she is chair of the audit and finance committee. She is a non-executive director of Greencore Group plc; director of Ergonomics Solutions Internationa and a council member of the Institute of Directors. Heather Ann is a former Director of Enterprise Ireland, the Irish Pharmaceutical Healthcare Association, a former member of the Governing Authority of University College Dublin and a former member of the Court of Bank of Ireland. Heather Ann brings a wealth of commercial experience and knows at first hand the challenge of growing a business to a significant size from small beginnings. She is based in Dublin.